Buckle up because this article is about to teach you everything you ever needed to know about penny stocks! This is the kind of language that surrounds penny stock trading. It is a glamorous, fast-paced world, and many of the success stories you hear truly are jaw-dropping. A few of them are even true. I’m going to give it to you straight. 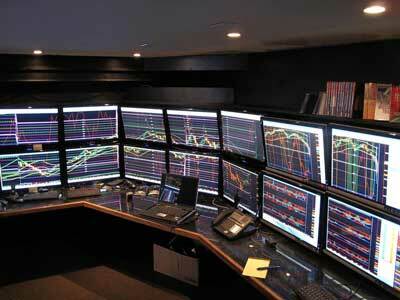 You can make a ton of money tradingpenny stocks, but it isn’t easy, and it isn’t for everyone. Penny stock trading is highly volatile, and as such, is more speculative than other more traditional forms of investing. That means that the stocks you invest in do have the potential to soar—but they also may crash and burn. In this guide, I am going to teach you everything you need to know to get started with penny stock trading. Let’s start with the very basics, and talk a bit more about what penny stock are and what makes them different from other financial instruments. A penny stock is any stock which is currently valued at a very low price. 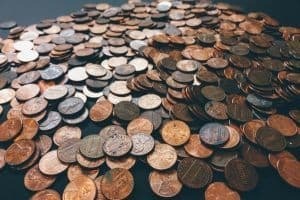 Despite what the name implies, most penny stocks do not cost a penny. Sometimes you will see a penny stock defined as “any stock which is valued at less than a dollar,” but that is not really accurate. A penny stock may be $1, $2, or more. In fact, if it is valued at $5 or less, it is generally defined as a penny stock. Penny stocks are unusual in that not all of them are traded on major exchanges like NASDAQ or NYSE. There are some cheap stocks on NASDAQ and NYSE, and these do count as penny stocks—but they are just the tip of the iceberg. Where are the other penny stocks listed? A couple of services which are noteworthy are OTCBB, which stands for “Over-the-Counter Bulletin Board,” and Pink Sheets. Between the two, OTCBB lists the less risky stocks; Pinks Sheets on the other hand follows no strict listing requirements. These stocks are actually quite easy to buy despite not being listed on a major exchange, because you can just use the same stockbroker you do for everything else. So whether you are buying penny stocks on NASDAQ, OTCBB or any other exchange or listing, the process is pretty much the same. Penny stocks are volatile. Sometimes they take off, and when they do, they can do so overnight. You might for example buy a penny stock that is valued at an actual penny, and find that a few weeks later it is worth $10. Now imagine that you had purchased $10 worth of those stocks instead of a penny’s worth. Suddenly, you would have $10,000, and your risk was minimal—less than you would spend buying the best pizza in town. Good luck finding rapid, massive gains like these anywhere else. You can invest in penny stocks with a very small bankroll. Not everyone has tens of thousands of dollars to start trading. The entry barriers for penny stock trading are incredibly low. Real opportunities do exist. At any given time, there are solid companies out there that happen to be just starting out. Nobody else has noticed these companies yet, but if you get in on the ground floor, you can make a killing financially. Penny stocks are highly speculative, and as such, are risky. Volatility is a two-edged blade. It can make you rich, but it can also break you overnight (which is the more likely outcome). It does not help that it can be hard to sell a penny stock once you have purchased it. You might think, “That is not a big deal if I am just investing a few dollars,” but it can all add up if you do not manage your money with care. There is not a lot of regulation to protect you. Many listings are unregulated by the SEC, so there is a lack of government oversight. It is hard to come by quality stocks. While there are some amazing penny stocks out there, the vast and overwhelming majority are the farthest thing from a sound investment. Many of them are shares in companies which are in trouble. Scams are, well, a penny a dozen. Because this is an under-regulated industry, it is plagued by pump and dump scams. You can avoid these if you are careful, but most investors don’t take the time to learn a good investment from a bad one. One awesome thing about penny stock trading is that you probably do not need to look for a broker. If you already are a stock trader, your current broker most likely can handle the transactions for you. Check penny stock listings like the aforementioned OTCBB and Pink Sheets. Then just start researching the companies on your own. Look up lists of the 10 best penny stocks or the top 100 active penny stocks. Just makes sure that you are checking a publication or website which you can trust. Sign up for a service. Another option to find the best penny stocks to buy now is to sign up for an alerts service. You pay a monthly fee, and picks are delivered to you via email or SMS. Some services also come with video lessons, community access, email coaching and more. A lot of traders simply buy the top penny stocks they see recommended—but this is not the best way to trade. Yes, it saves time, but it will lose you money. If you want to win at this game, you need to do your homework. How to buy penny stocks is a question some novice traders ask. The answer is simple, open a brokerage account who offers penny stocks. Penny stocks are traded on the NYSE, NASDAQ, and OTC Markets. You’ll need identification along with confirming your income and risk tolerance before opening a brokerage account. However, the process is fairly straightforward and usually takes 24 hours or less. Take the time to demo each trading platform before selecting a broker. Once you are set up with an online brokerage you can buy penny stocks with a few clicks of the mouse. 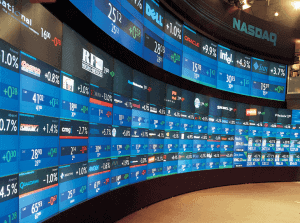 Penny stocks are traded on the Nasdaq, New York Stock Exchange, and OTC Markets. You can buy penny stocks through a stockbroker. Opening a stock brokerage account is straightforward and can be done online. You’ll need prove your identity,as well as accurately describe your financials including income and net worth. However, the process typically takes 24 hours or less to get started. Now, you can buy penny stocks through a number of different discount brokers. Some considerations traders have before selecting a broker include: charting features of the trading platform, ease of trading platform, commissions, minimum deposit, shares locates. Check to see if you can demo the trading platform before making a decision. On the other hand, some traders will have multiple accounts with different brokers, adding flexibility to their trading. The best penny stock broker is one that offers a decent commission structure and trading platform. For example, the popular app, Robinhood, does not offer OTC penny stocks to its clients except on a few rare occasions. On the other hand, brokers like etrade, TD Ameritrade, and Interactive Brokers are among the most popular for trading penny stocks. Before selecting a broker, think about the commissions, as well as the ease of use of the brokers trading platform. Does it have quality charts? Or having any other special features. These are among the questions traders ask before deciding which broker to go with. First, is this a real company? A lot of penny stocks are in shell companies. Shell companies do not actually do anything, despite being legally incorporated. They are set up either for reasons relating to the branding or finances of the company which owns them, or they are reserved for future use. The point is that they are inactive. Stay away from shell companies; only invest in real companies which are producing real products or offering real services. How the company’s financials? Check out the statements to see if they are being filed on time and if the figures are robust. Also see if you can find out whether there is any independent auditing, and if so, what the auditors have discovered. Make sure that the fundamentals are intact, and that the company’s business structure makes sense. See if they can actually deliver in their industry. What can you discover from the filing footnotes? This information can often be glossed over with big companies, but when it comes to penny stocks, it can be critical. What is the story? There is always a reason a company’s stock is valued at $5 or less. It could be common in that company’s industry (mining is a good example), or it could be that the company is simply new. In some cases, established and successful companies also get hit hard, and may dip down in value before making a comeback. These are all situations where you might find good investments. Of course, these are diamonds in the rough—most penny stock companies are going nowhere. The point is that you need to have a solid reason to believe a penny stock is going to rise before you purchase it. Some of the best companies in the world were once penny stocks. The reason why investing penny stocks makes sense is because of their huge upside profit potential. That said, penny stocks are not generally covered by wall street analysts. However, that also means you’ll have to do your own due diligence. Only look to invest in penny stocks that are transparent and disclose key information about their financials and business outlook. Concur Technologies is a company that was trading at $48.50 per share during the 90s tech bubble. When NASDAQ crashed, shares dropped to $0.31. Eventually, they soared back up to about $107. Have you ever shopped at Pier 1 Imports? Believe it or not, this company was hit so hard by the recession that shares dropped to $0.11. Shares eventually rose back to around $20.64. Another stock you will probably be surprised was ever a penny stock is Ford Motor Company. Around when GM filed for bankruptcy, Ford Motor Company got down to around $2 per share. True Religion is a strange story. This jeans manufacturer was actually profiled by the famed penny stock trader Timothy Sykes as a one-time “spam-fraud” company that wound up turning into a real business with viable products. Shares in True Religion were $0.67 at one point, but eventually rose to around $32 per share. If you can spot opportunities like these you can make a killing. One thing which is vital to know going into penny stock trading is that unfortunately this niche is replete with scams, particularly “pump and dump schemes.” What are pump and dump schemes? This is where shareholders in a penny stock make a concerted effort to artificially inflate the stock’s price through circulating misleading information. When the price goes up, they sell and cash out. The sites and materials distributed by pump and dump scammers often look official and trustworthy. But if you buy into their stocks, you will end up losing a ton of money by investing in worthless stocks. Thankfully, the trick to avoiding this is pretty simple. Just do the research I recommended earlier every time you are considering buying a penny stock. 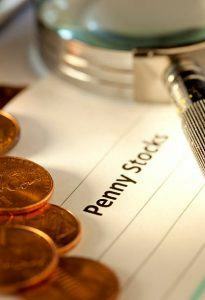 Are Penny Stocks the Right Fit For You? Patience to wait for solid investments to come along and only solid investments. Research skills, critical thinking, and attention to detail. Discipline and perseverance to stick with penny stock trading over the long haul. A handle on your emotions. While penny stock trading is exciting, you should not get into this game for the thrills. Honesty. The most profitable investors are always those who can be honest with themselves about the decisions they make. This is the only way to spot mistakes and make improvements. If that sounds like you, penny stocks could be your road to riches. When you’re trying to figure out what penny stocks to buy today, you’ll want to develop a watch list. Generally speaking, you’ll want to buy penny stocks that have a catalyst. The reason being is that stocks that have catalysts are usually volatile. As a trader you need volatility in order to capture short-term profits from the market. Subscribing to a service that captures news in real time can be helpful when you are looking for stocks that have catalysts. Because penny stocks are not covered by most analysts, a news story has the potential to move a penny stock and create volatility. Creating a list of penny stocks is a savvy way to prepare yourself for whatever lies during the trading day. For example, you can create lists based on percentage movers, largest gainers/losers, 52-week highs/lows, etc. Or you can create a list based on penny stocks that have high short interest, these could be a short squeeze list. Of course, you can also get more detailed. By listing stocks by sector. This can be useful when a certain sector, like marijuana or cryptocurrency are in the news. Having lists based on different market scenarios or sectors can help you make better and faster decisions. Research every stock in detail before you invest, and check the fine print. Manage your money carefully. Just because penny stocks are cheap, that does not mean that your losses can’t add up. Do not stretch your position sizes to unreasonably high percentages of your account just because your bankroll is small right now. Be patient and your account will have a chance to grow. Practice trading on paper first. Make sure your methods work before you risk real money. Never forget that fraud is rampant. Cut your losses quickly if you find yourself with a bad stock. If you wouldn’t buy that stock now based on your trading methods, you should not be holding it. Wait for good trades to come to you. Only take “A+” trades. Focus on your methods, not on your winnings. If you keep trading right, the winnings will take care of themselves. Day trading penny stocks can be a very profitable venture if you are caught on the right side of the trade. 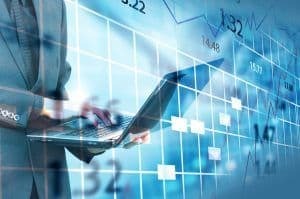 Most penny stocks are low caps that are not covered by wall street analysts. That said, they tend to react more when there is a news event surrounding the stock. Investing in a service that alerts you on breaking news might be worthwhile if you intend to day trade penny stocks. Of course, that is not the only thing that matters. In fact, you can even use alerts created from your trading platform that point out large daily moves. There is one certainty with penny stock investing, and that is that you will never be bored. In fact, most of the time you will probably feel like you are on a rollercoaster of volatility. Most penny stocks are worthless, and most penny stock traders will lose. But if you can spot the diamonds gleaming from amid the coal, you could find yourself making money hand over fist. Looking for news, education, and tips on hot penny stocks? Sign up for our free alert service at The Stock Dork and get NASDAQ and NYSE stock alerts delivered right to your inbox.